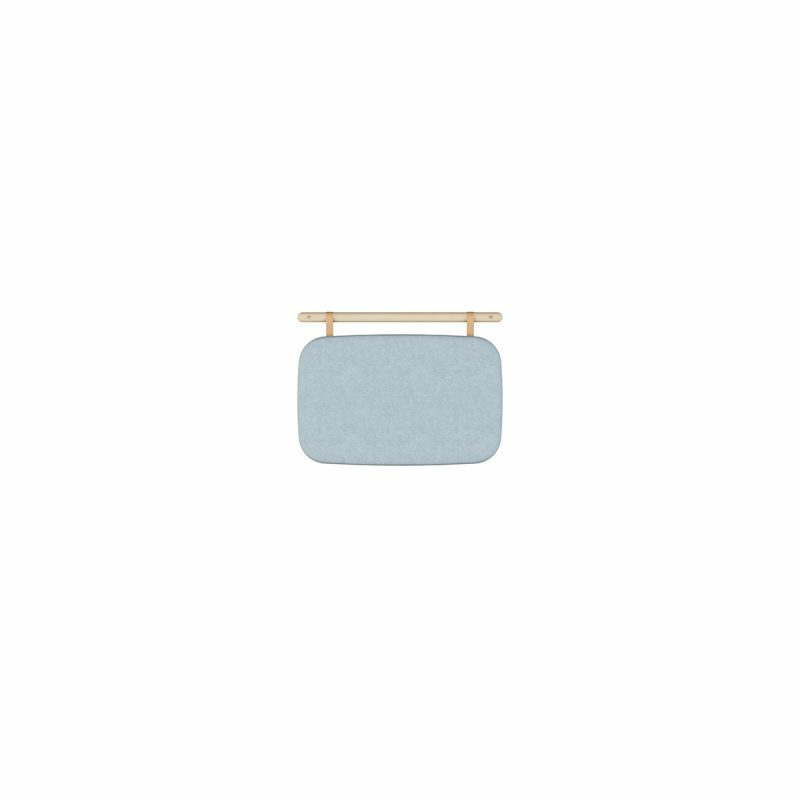 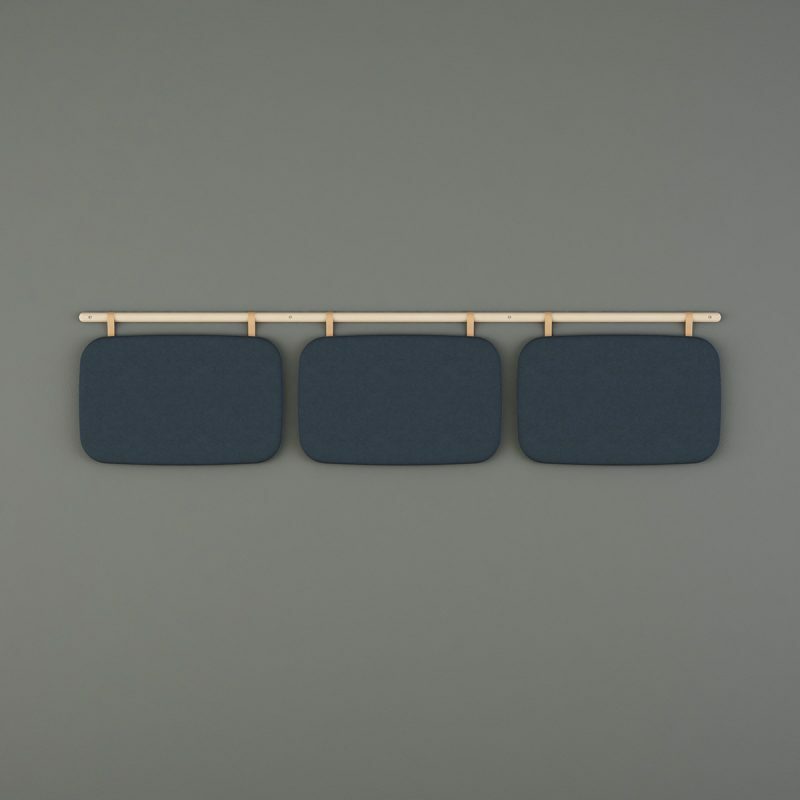 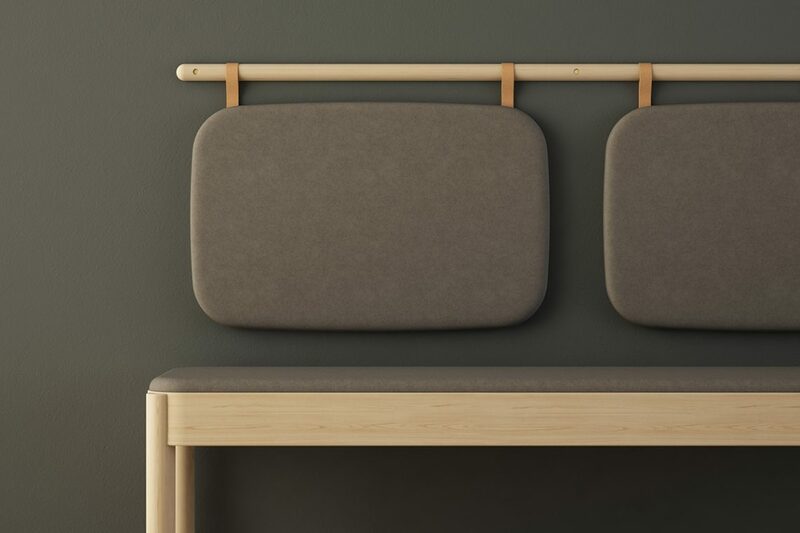 Hilja means ”quiet” or ”calm” in Finnish and is a decorative wall absorbent with soft shapes, to contribute to a peaceful and cozy atmosphere. 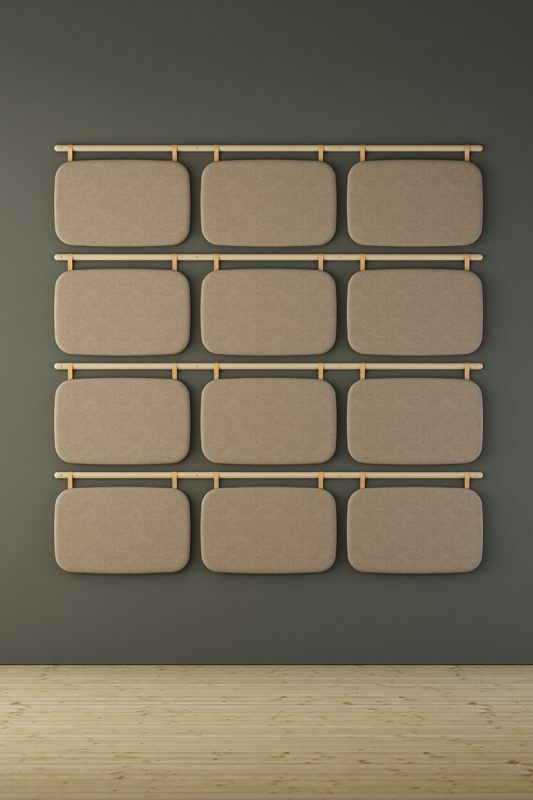 Hilja wall absorbent has the shape of a superellipse which gives a pleasant impression. 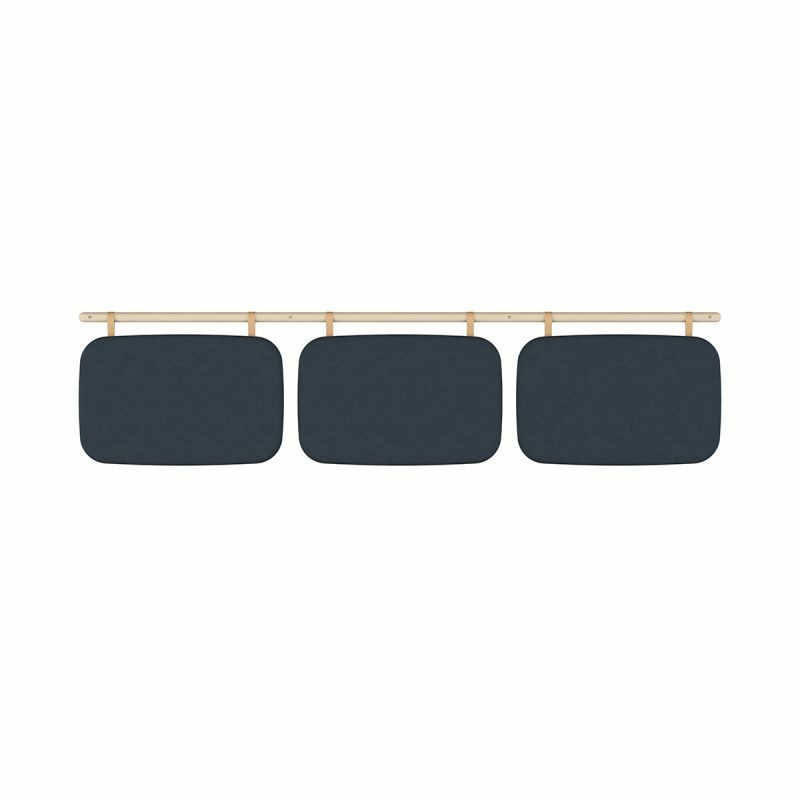 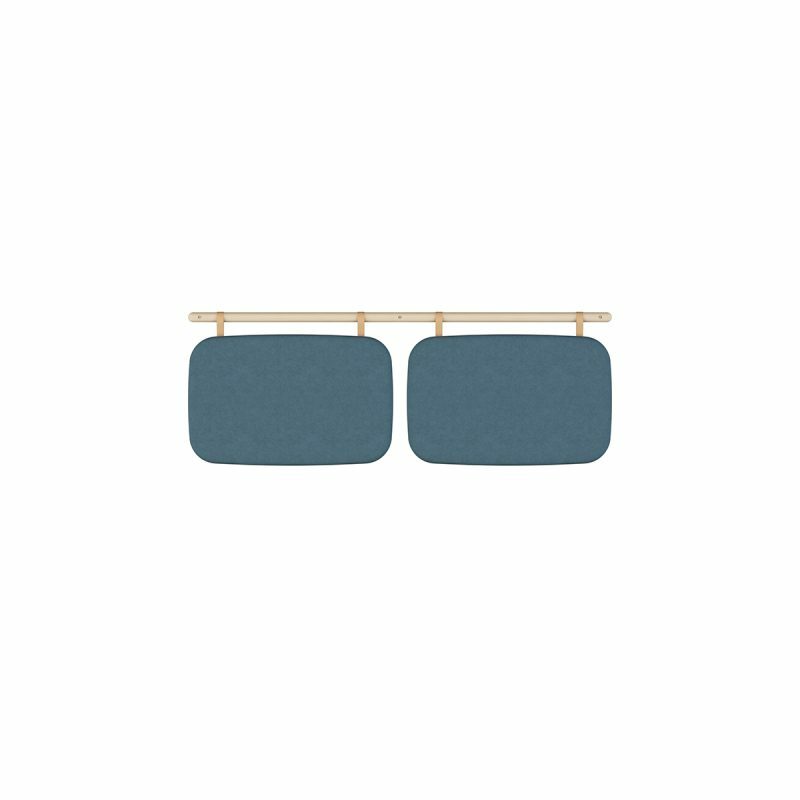 The suspension is made with leather straps around a half round birch bar available in three lengths. 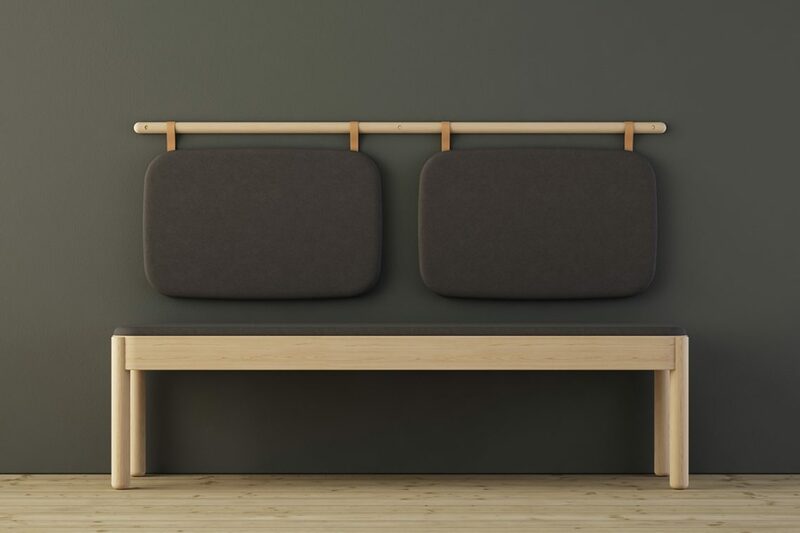 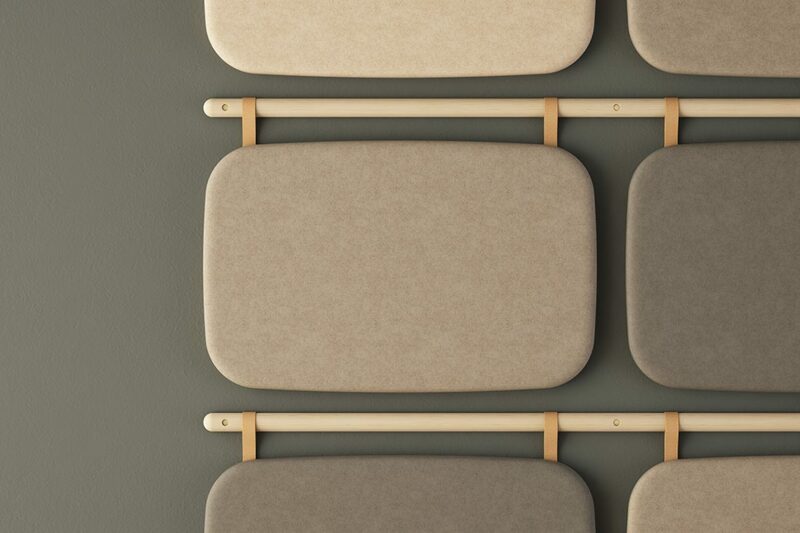 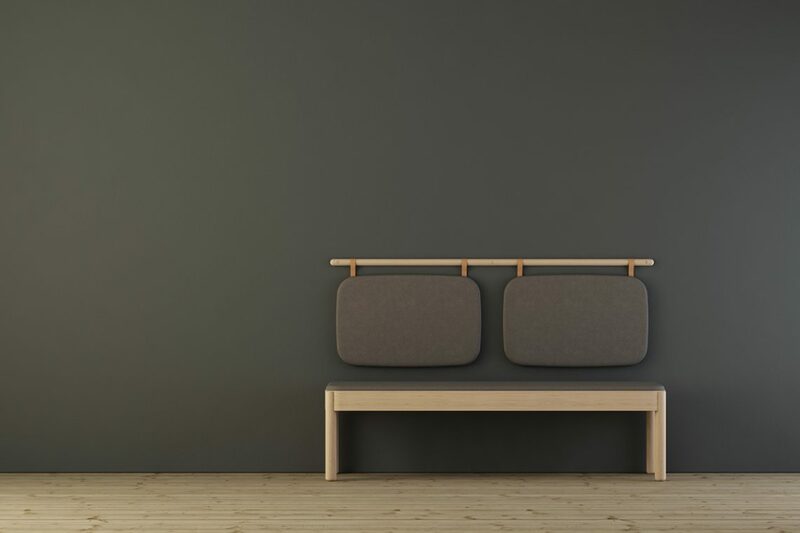 The wall absorbents can be used as wall mounted backrest to complement benches, such as Wakufuru sound absorbing benches, and site-built seatings. 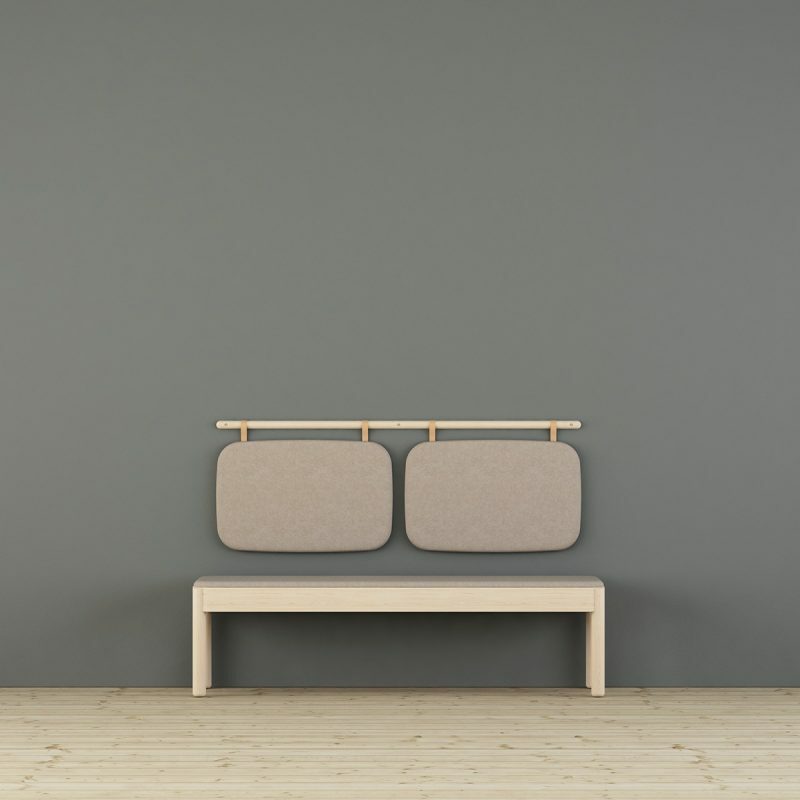 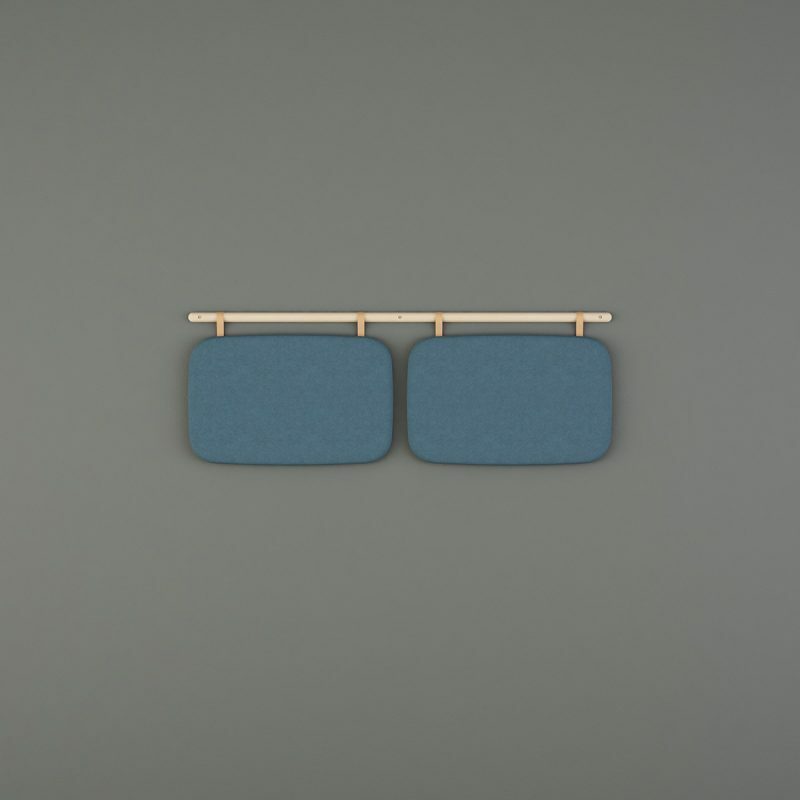 They can also be used independently to create beautiful and functional wall environments while achieving good sound absorption.